Art imitates life at Casa de Arte Monteverde, a studio and gallery located in one of the most diverse ecosystems in the world. 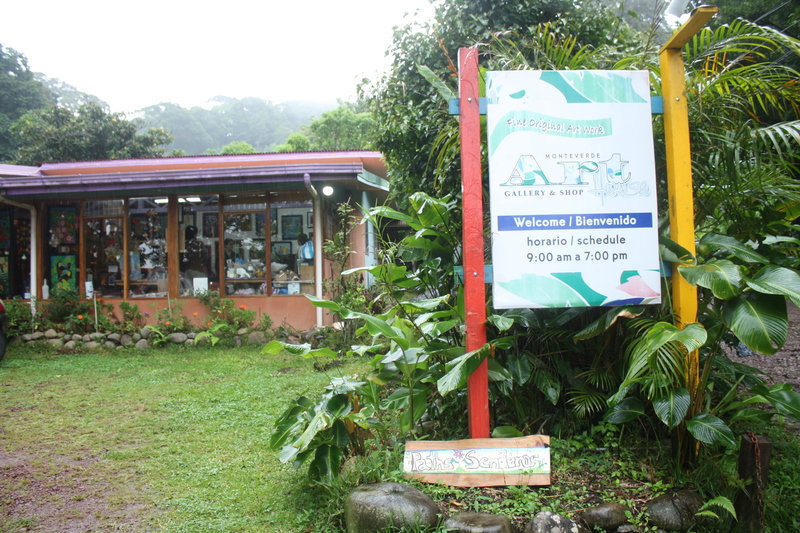 Casa de Arte Monteverde is located in Costa Rica's cloud forest. Much of the artwork reflects the surrounding Monteverde cloud forest, in which one can find more than 400 species of birds, 700 types of butterflies and thousands of types of plants. The gallery is filled with colorful paper maché quetzals, beaded hummingbird earrings, watercolor paintings of sloths, and mirrors adorned with blue butterflies. The 32,000-square foot property leads artists and visitors through forest trails on their way to the workshop. Soft jazz music and the sound of the nearby river can be heard inside. 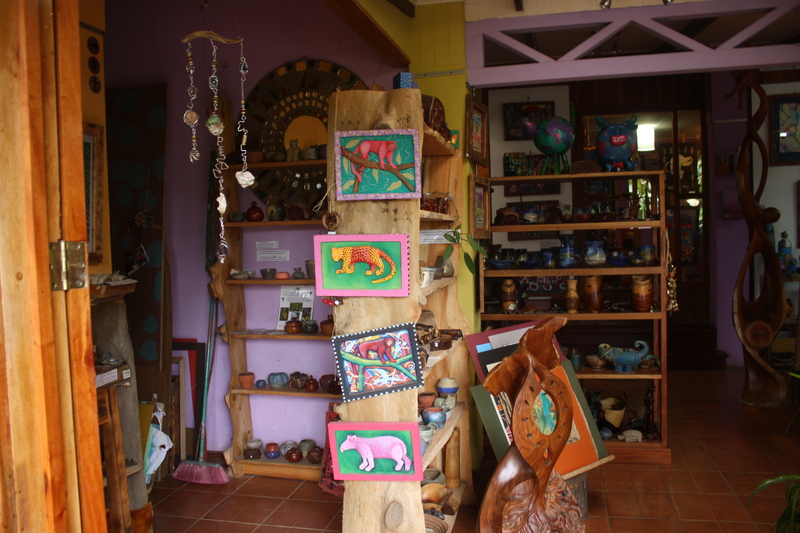 Local artists sell work featuring animals, insects and birds found in Monteverde. Artists are influenced by their surroundings, said Bertalía Rodriguez, founder of Casa de Arte. Rodriguez, a painter who came to Monteverde with her husband in the 1970s, started the gallery seven years ago and took special care to maintain the natural backdrop. About 40 artisans work for the gallery and sell their pieces to tourists enticed by the intricate gazebo and colorful signs on the side of the road. Most of the artists are from Monteverde, though the gallery also sells the work of a Guatemalan woman and the weavings and masks of the Boruca indigenous group. 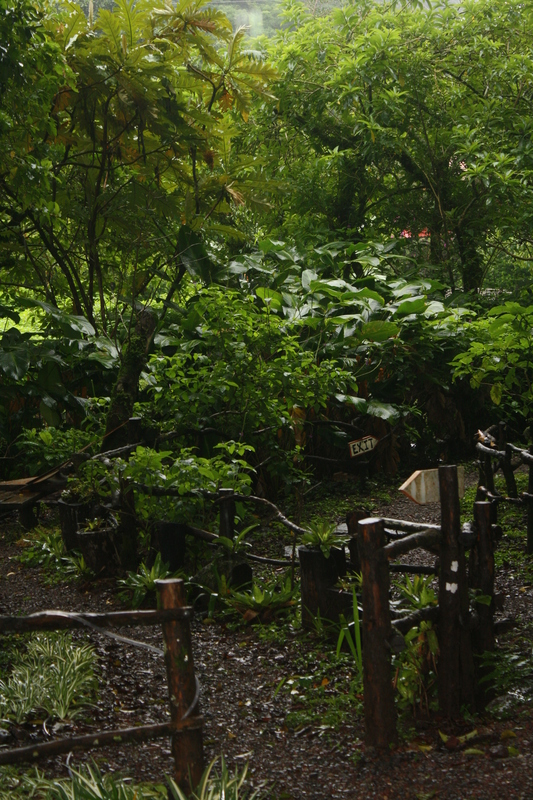 Visitors and artists can take trails through the forest leading to a river. Visitors can tour the gallery and observe the workshops that are held in the front room. 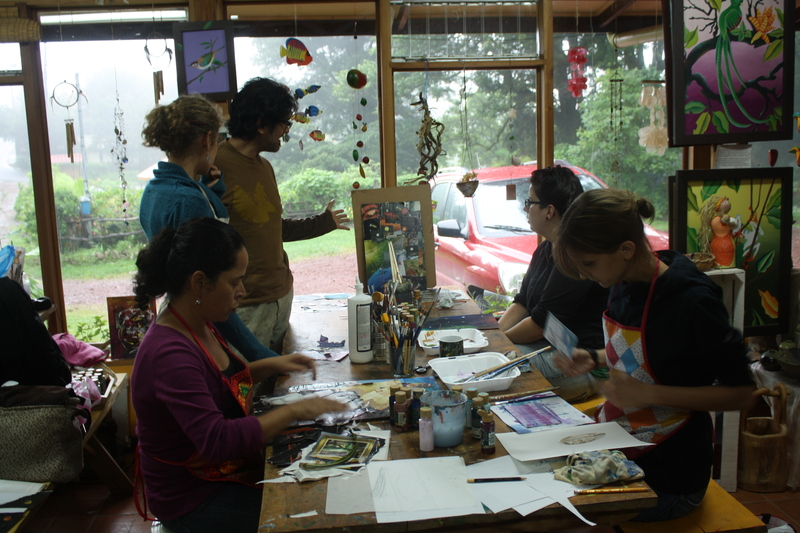 Artists often visit Monteverde to take or teach classes at in the area. The art movement in Monteverde started about 40 years ago when two Quaker artists came to town, Rodriguez said. She said art is taught at the Monteverde Friends School, which has helped the community develop. Some artists, like painter Fernando Páramo, are attracted to the area’s natural beauty. Páramo moved to Monteverde about five months ago and now holds workshops at Casa de Arte. Artists gather for a workshop lead by Francisco Páramo. Others visit the studio for a few days or weeks. Genevieve Rouillard, a chemist from Quebec, Canada, came to Monteverde to visit a friend. She worked on a collage of moons and planets cut from magazines while Páramo gave his critique. Rouillard said Casa de Arte was the perfect place for her foray into art. “It’s really nice and peaceful here,” she said. The property of Casa de Arte is spacious, but Rodriguez does not plan on expanding from the few workshop and studio areas she has. 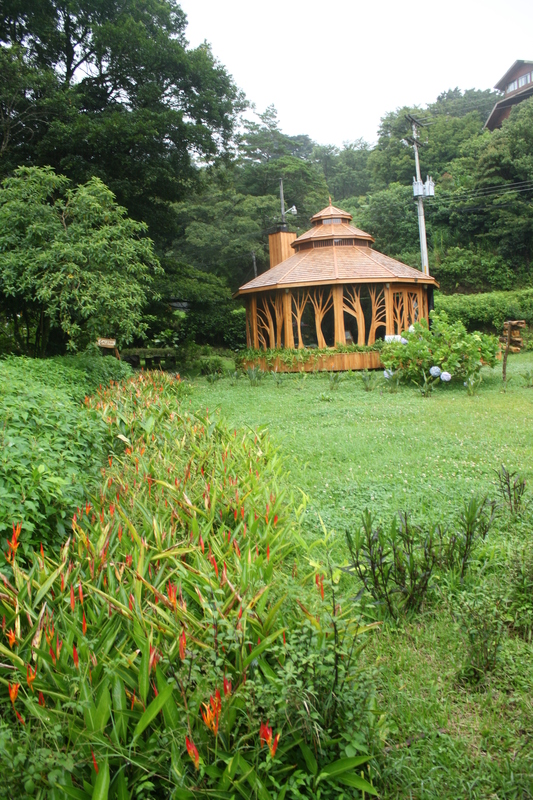 Casa de Arte includes a workshop, gazebo and several gardens. For Páramo, it is this “natural art” that helps him with his own work.